Anybody that knows me knows I’m a movie fanatic. I love movies. I remember dialog better than my children’s birthdays and will beat most people at any movie trivia games. As busy as I am, I watch movies three ways. The first would be in the local theatre, up on the big screen, the way they were meant to be seen. The second, at my home, on our home theatre that features all the bells and whistles that we had to scrimp and save to afford. The third way — and this is probably where I watch most of my movies — is on my third computer monitor, just on the edge of my peripheral vision, with a set of headphones. I probably memorize the dialog because that is mostly what I get out of the movie in this scenario — the audio. I love the theatre arts, whether it be live or recorded. Of the thousands of movies I have watched I have many favorites. Some are award winners and some just were bad, but so bad that they entranced by other means. 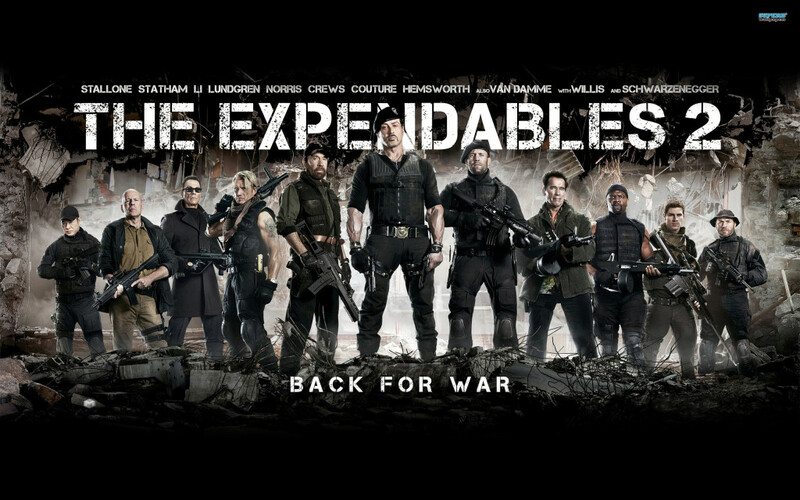 For instance, there’s The Expendables 2. Lets take a lame script with huge amounts of corny and predictable dialog, then we will add every action star from the last 20 years, sprinkle in the most amazing, and of course unbelievable, stunts, and put it on the big screen. Did the critics pan it? You bet. Did I love it? Of course, although most of my friends don’t know why. Did it make money? Oh yeah…lots. This issue of The Stew is about Masks. For as long as I’ve been involved in the theatre here in town I’ve known about the theatre masks, the comedy and tragedy masks that are on the front cover of this issue. I knew they were old, and that their significance goes back a long time, but didn’t realize how far until I did a little research. The use of masks in theatre goes back to the fifth century before Christ in Ancient Greece where they had a few functions. Among other things, masks allowed a small number of cast members to perform different parts and different genders in the same play by just changing masks. It also allowed the audience in a huge, open-air amphitheatre to see the expressions on the actors faces, as the masks were an exaggerated version of those expressions. Theatre masks were first meant to honour the god of wine and fertility, Dionysus. Amazing that after 2500 years, wine and fertility still go together, but I digress. The masks originally were representations of the nine Muses or Goddesses who inspired the arts. The muse of tragedy was Melpomene, and the muse of comedy was Thalia. I’ll bet you are ready for that trivial pursuit game now. but had a huge revival in the mid 1980s. Mask making was such an important part in Venice for a multitude of reasons, such as the carnival and even voting, that the artists even had their own guild or union. As a classically trained portrait photographer for over 25 years I was trained to look at what is referred to as ‘the mask of the face.’ That is the area of the face from chin line to hairline and from ear to ear. I was taught that by changing the angle of the face and changing the lighting we can change the way a person looks or, as they used to say back in the film days of portraiture, ‘fix flaws’. We can straighten out a crooked nose with just a slight turn or give the impression of a strong jawline by slightly pushing the chin forward. obvious but are still there, such as the brave face, the sympathetic face, the ‘yes honey I’m listening’ face, and, of course, the ‘yes I meant to do that but oh boy does it hurt’ face. My best mask is the one I wear every day, as it is my most positive. Regardless of my mood, my mask is always a mask of ‘awesome’ because the more I wear it the more awesome things are.